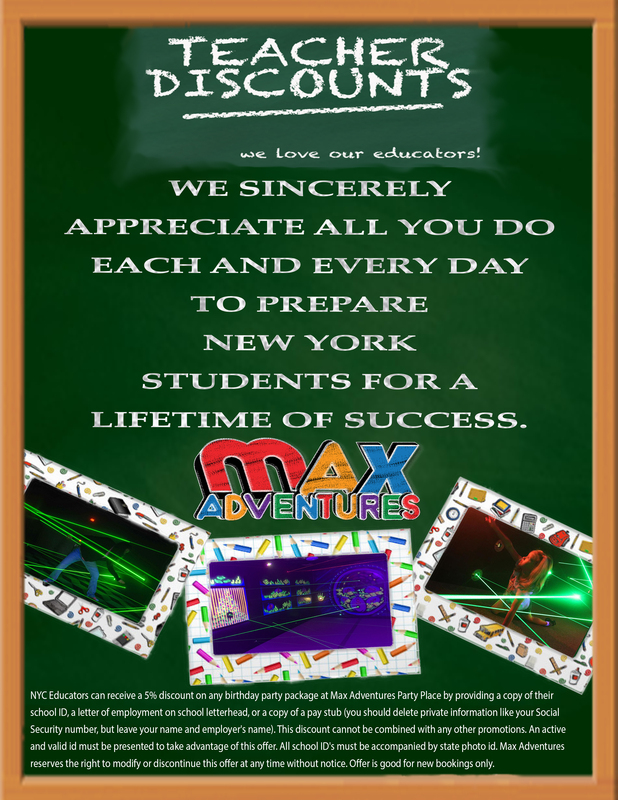 NYC Educators can receive a 5% discount on any birthday party package at Max Adventures Party Place by providing a copy of their school ID, a letter of employment on school letterhead, or a copy of a pay stub (you should delete private information like your Social Security number, but leave your name and employer's name). This discount cannot be combined with any other promotions. An active and valid id must be presented to take advantage of this offer. All school ID's must be accompanied by state photo id. Max Adventures reserves the right to modify or discontinue this offer at any time without notice. Offer is good for new bookings only. 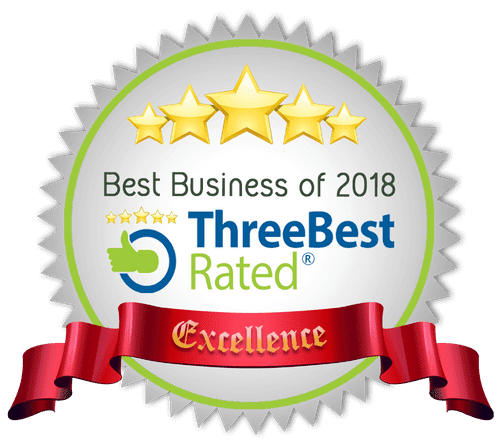 Any current offer can NOT be combined with any other offers/discounts. Discount will be applied before tax.